We find having hamburgers all the time gets a little boring( even though our 14 yr old could eat them morning,noon, and supper everyday). So Mark and I changed it by making a hamburger into pie form. It worked so well that there weren’t any left overs. Here is how we made this pie. Another note * I was out of Bisquick, so I made my own which is in my last post. – Spray 9″ inch pie plate with cooking spray. – Preheat oven to 400 degree’s. 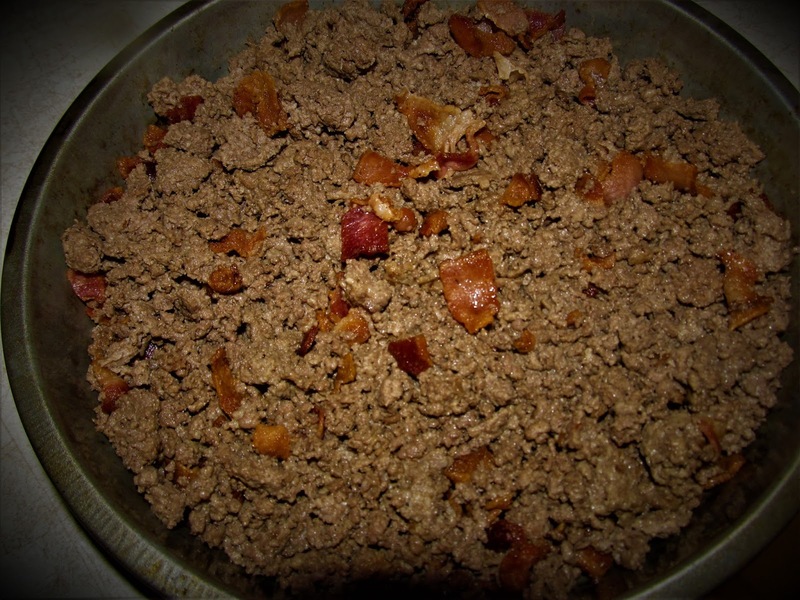 – Cook hamburger and onion, If your adding bacon, add the cooked bacon. 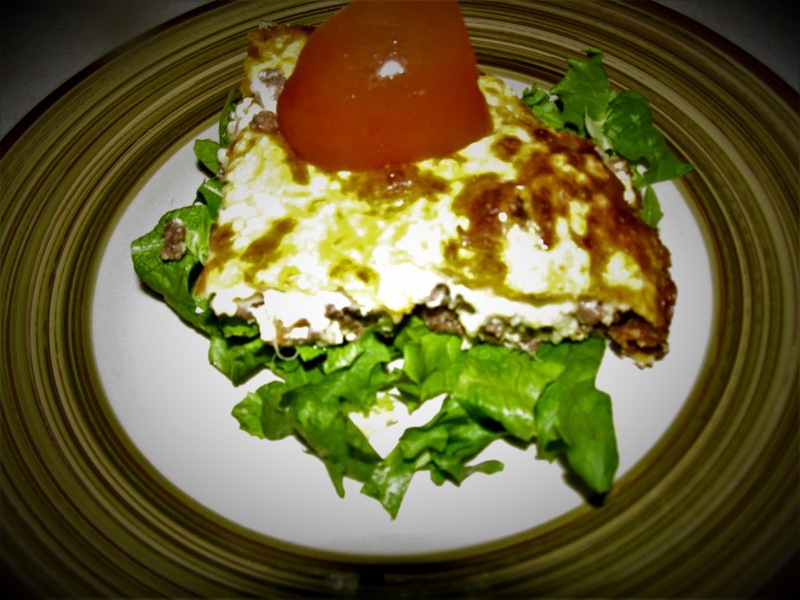 – Sprinkle cheese of your choice over meat mixture. ( we used Provolone and mozzarella combination). 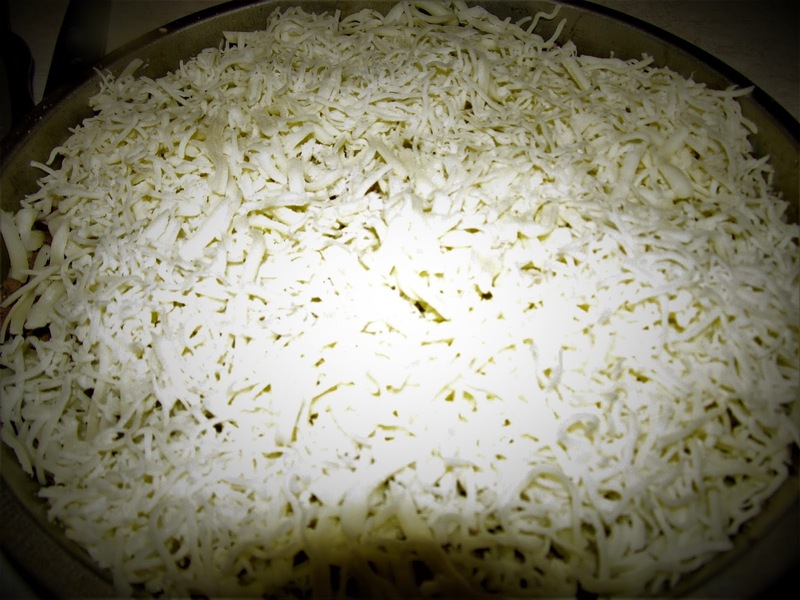 – Spread mixture over the cheese. – Bake for about 25-30 minutes or until toothpick inserted comes out clean. Serve over a bed of lettuce and top with tomato wedges. This is very easy to make and serves 7. What other add ins would be good? I think you covered all the traditional add ins. As long as there is lettuce, onion and tomato, I am good to go. It sounds like a good idea, that pie. Great idea and looks really good. I have to try this!